During 2017 IRDG is continuing its Innovation Practice Group visits to interesting member companies who are keen to share their innovation story. These best practice visits are a great way to network and learn how your fellow IRDG members organise and execute their innovation agendas. 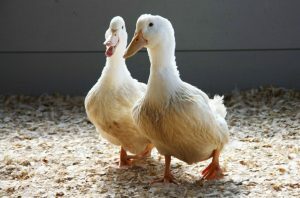 Silver Hill Foods is a rapidly growing company that is 70% export led, supplying it’s unique duck to 24 countries worldwide including UAE and Singapore. 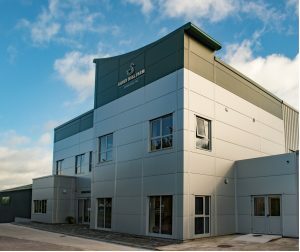 Plans to further unlock the lucrative markets in Hong Kong, Vietnam, Malaysia and Indonesia, and mitigate the challenge of Brexit, have been realised with the opening of their new €3m state of the art Centre of Excellence facility. As a fully integrated food company Silver Hill has innovated every aspect of the business to create and capture value. Based on genetics and breeding, they have developed a quality innovative product that has provided unique access to the market. Their deep understanding of and responsiveness to customers and consumers is driving the market diversification strategy and informing new product development. With sustainability fast becoming a focal point for customers, Silver Hill has committed to a significant programme adopting innovative measures that have already exceeded targets to minimize waste, conserve natural resources and increase energy efficiency. This visit will be of interest to agri-food companies, ICT, engineering, packaging companies servicing the agri-food sector and others with an interest in sustainability and planning for Brexit. The visit, which runs from 10.00am to 2.00pm, will also include a tour of the facility and tasting of the #bestduck in the world. 1.5 hrs from Dublin Airport, Silver Hill Farm is located on the N2, 1Km outside the town of Emyvale, Co. Monaghan. Refer to Google Maps link here.